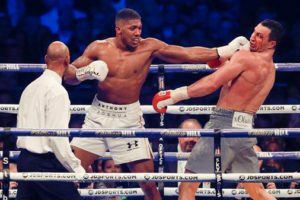 Despite the late change of opponent, the biggest draw on Saturday night remains the main event, with Anthony Joshua taking on Carlos Takam for the WBA, IBF and IBO Heavyweight World title belts. However, hidden gems may lie in the undercard. Chief support to Joshua’s bout sees WBA Super Flyweight Champion Khalid Yafai take on Sho Ishida in his second title defence. Kal (22-0-0 14KOs) won the vacant WBA belt back in December 2016 from Luis Concepcion, who’d come in over the limit in two attempts at the scales, meaning the only Yafai could win the belt. Then in May this year Kal got his first defence in the bank when he dominated Suguru Muranaka. Yafai was mightily impressive in both bouts, scoring legitimately wide scorecards. He’ll be hoping that this is the stepping stone fight to being included on HBO’s ‘SuperFly 2’ in early 2018. His opponent Sho Ishida’s record is good on paper, 24-0-0 (13KOs) however that does include six debutants including his last two bouts in which Ishida stopped first timers Patiphon Saithonggym and Phetnamnung Sisaketphattana in rounds three and two respectively. This will also be Sho’s first fight outside of Japan, he’ll be hoping to upset the Brit’s party and join his countryman, Naoyo Inoue at the top table of the Superfly division. Dillian Whyte (21-1-0 16KOs) is looking to turn up the heat on the current Heavyweight belt holders when he goes up against Robert Helenius. In his most recent outing Whyte made quick work of Malcolm Tann on the undercard of Crawford v Indongo in Nebraska. Though sloppy at times, he made sure his keep-busy fight didn’t last long, dropping Tann for a third time with a body shot in the third round. A stark contrast from his split decision win previous to that, when he fought in a Fight of the Year contender, going all twelve in a heavyweight war against Dereck Chisora. His opponent, Robert Helenius (25-1-0 16KOs) was once the man to beat in the European Heavyweight scene. A sparring partner of Anthony Joshua’s leading up to the Klitschko fight, Helenius was racking up victories including a controversial decision over Chisora in 2011 and knocking out an unbeaten Gregory Tony in 2010. His steady rise took a big hit in 2016 though when he was knocked clean out by a big 1-2 from Johann Duhaupas. He’s on a three-fight win streak and will be looking to take Whyte’s status as a number one contender for the belts. Katie Taylor (6-0-0 4KOs) fights for her first world title in just her seventh fight when she takes on Anahi Esther Sanchez for the WBA Lightweight belt. It will be Taylor’s second schedule ten round fight, in her second stadium fight, and the omens are good because in that ten-rounder at Wembley Stadium last April, Taylor continued to show her class when she dispatched of unbeaten Nina Meinke in the seventh. In her one fight since, the Irishwoman beat up Jasmine Clarkson for three rounds before the American’s cornerman pulled her out. Anahi Esther Sanchez, as expected should represent Taylor’s biggest challenge yet. Sanchez (17-2-0 9KOs) has previously held a world title when she won the IBF Super Featherweight belt in March 2016. She’s also fought and lost twice in world title fights. Once in December 2016 via a unanimous decision to Nina Wahlstrom for the WBC Super Feather title and again in May this year, when she was given two standing counts and eventually stopped in the fourth for her old IBF title. She bounced back quickly, and in her second fight at the 135lb limit, stopped Cecilia Sofia Mena for the WBA belt, that will be on the line this Saturday. Cult hero Dave ‘White Rhino’ Allen (12-3-1 9KOs) was looking to exact revenge on Commonwealth Champion, Lenroy Thomas when the two were set to meet for the second time on Saturday night for an immediate rematch of their May 2017 split decision. However, the Jamaican has pulled out due to a virus. Allen is expected to remain on the undercard in a six round keep busy fight before going again for the British and Commonwealth belts. Another late change to Saturday’s card sees British Light Heavyweight Champion, Frank ‘Wise Guy’ Buglioni take on Craig ‘Spider’ Richards. Buglioni (20-2-1 15KOs) was due to fight Callum Johnson in a mandated bout but Johnson withdrew last week, leaving the door open for Craig Richards (9-0-0 3KOs), who has been campaigning mainly at Super Middleweight up to this point. Three of Matchroom’s 2016 Olympic signings will also be on the card. Cruiserweight Lawrence Okolie (5-0-0 4KOs), taken the distance for the first time in his last fight with Blaise Mendouo. Super Featherweight and Welshman Joe Cordina (4-0-0 4KOs) fighting in Wales for the first time in his pro career. And Light Heavyweight Joshua Buatsi (2-0-0 2KOs) a bronze medallist in Rio, and arguably Britain’s most highly thought of from the class of 2016. The following is the Boxing Insider notebook for the week of April 11th to April 18th, covering the comings and goings in the sport of boxing that you might have missed. Matchroom Sport, Klitschko Management Group (KMG) and K2 Promotions have reached agreement with U.S. premium television giants Showtime and HBO to televise the most significant heavyweight world championship match in more than a decade. 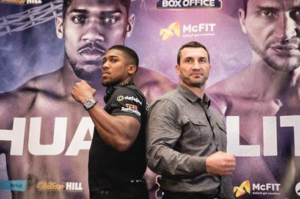 On Saturday, April 29, IBF Heavyweight World Champion Anthony Joshua will face former unified world champion Wladimir Klitschko from a sold-out Wembley Stadium in London. 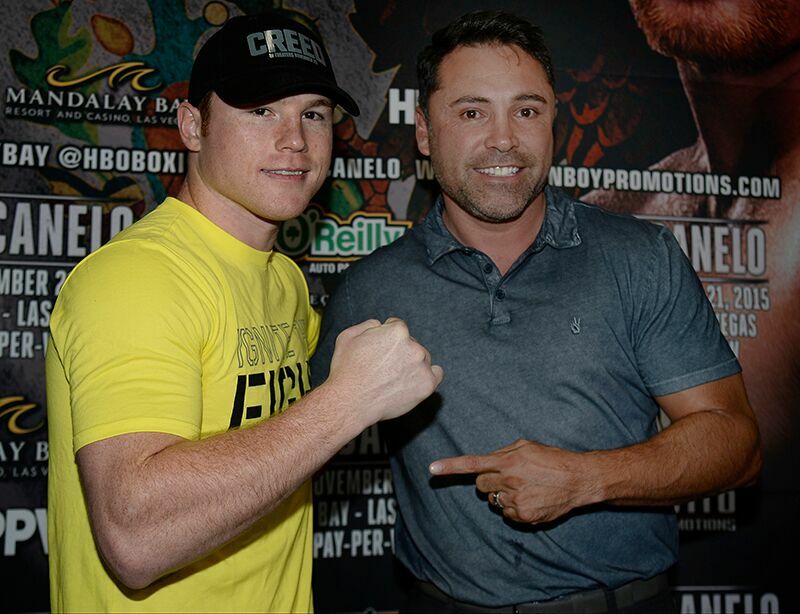 Closed Circuit Venues Announced for Canelo vs. Chavez, Jr. The hottest ticket in town is for the sold-out Canelo vs. Chavez, Jr. mega fight that is set for Saturday, May 6 at T-Mobile Arena. Due to the demand of closed circuit telecast tickets, additional locations have been added for the Cinco de Mayo weekend showdown between two-division world champion Canelo Alvarez (48-1-1, 34 KOs) and former WBC World Middleweight Champion Julio Cesar Chavez, Jr. (50-2-1, 32 KOs). In addition to the previously announced MGM Grand Ballroom viewing location, Liberty Loft at New York-New York Hotel & Casino and The Still at The Mirage Hotel & Casino will now show Canelo vs. Chavez, Jr. live on Saturday, May 6, giving fans the opportunity to experience an exciting night of boxing live in Las Vegas in an electrifying setting side-by-side with other fight fans. Tickets for the closed circuit telecast of Canelo vs. Chavez, Jr. are priced at $75, not including applicable fees. All seats are general admission and additional tickets go on sale Wednesday, March 12 at 10 a.m. PST at any MGM Resorts International box office or concierge desk. Tickets also can be purchased by phone with a major credit card at 800-745-3000. Canelo vs. Chavez, Jr. is a 12-round fight presented by Golden Boy Promotions and sponsored by Tecate, BORN BOLD, O’Reilly Auto Parts, Adriana’s Insurance and Interjet. Lemieux vs. Reyes is presented by Golden Boy Promotions in association with Eye of the Tiger Management, Matthysse vs. Taylor is a 10-round fight presented by Golden Boy Promotions in association with Arano Boxing and Star Boxing. Diaz, Jr. vs. Avila is presented by Golden Boy Promotions. The event will take place on Saturday, May 6 at T-Mobile Arena and will be produced and distributed live by HBO Pay-Per-View® beginning at 9:00 p.m. ET/6:00 p.m. PT. Tickets for Ward-Kovalev 2: “The Rematch” go on sale to the public today at 1:00 p.m. ET/10:00 a.m. PT. Tickets priced at $1,255, $755, $505, $355, $255 and $105 not including applicable service charges will be available on axs.com and at the Mandalay Bay Events Center box office. Dana White recently told TMZ Sports that the rumored Mayweather vs. McGregor fight isn’t even close to happening. TMZ also reports to not expect much movement on the fight being made until after Conor’s baby is born, as Dana White has said they plan to meet up after McGregor’s girlfriend gives birth. Dana also told TMZ that Ronda Rousey hasn’t officially retired yet. Robert Helenius (24-1, 15 KOs) has hit back at claims made by Dereck Chisora’s (26-7, 18 KOs) coach Don Charles ahead of their rematch for the WBC Silver World Heavyweight title on May 27 at the Hartwall Arena in Helsinki, Finland. ‘The Nordic Nightmare’ holds a controversial split decision win over Chisora from their all-action showdown December 2011, which many, including Charles, believed the British boxer did enough to win. “Every fighter needs an incentive, and the incentive here is to correct the original decision,’’ said Chisora’s trainer. ‘’Dereck has to be the referee, judge and the jury. We are not leaving anything to chance. “I hate giving fighters instructions to go out looking for the KO, but for this fight, Dereck is under strict instruction to go out there and knock this guy out. This past Saturday, undefeated super-middleweight contender, Caleb “Sweet Hands” Plant (15-0, 10 KOs), made an impact while doing a speaking engagement to at-risk teens at the Spring Mountain Youth Camp (SMYC) in Las Vegas. Caleb spoke to the youth about a variety of subjects but mostly about staying focused on their goals. About Spring Mountain Youth Camp: (SMYC) is a staff-secure correctional facility, housing male youth between the ages of 12 and 18. This division provides for the therapeutic, educational, social, medical and recreational needs of approximately 240 young men each year. SMYC is located at Angels Peak in the Mt. Charleston National Forest Area. It sits at an elevation of 8,470 feet and has a capacity of 100 youth. The following is the Boxing Insider notebook for the week of March 28th to April 4th, covering the comings and goings in the sport of boxing that you might have missed. Bob Arum recently stated that Manny Pacquiao and Jeff Horn may face each other in the summer after Pacquiao abandoned the planned fight to pursue a showdown with Amir Khan. This fight is being discussed to take place in Australia, but no set date or venue has been established. Arum is currently working on finalizing the deal, but nothing has been set in stone yet. Robert Helenius (24-1, 15 KOs) and Dereck Chisora (26-7, 18 KOs) came face-to-face for the first time since their controversial December 2011 showdown today at the Hotel Kamp in Helsinki, Finland as they prepare to renew their rivalry on May 27. Helenius was awarded a split decision victory in their first bout, despite many people believing the British boxer did enough to win. Chisora now has the chance to settle the score when they return to the Hartwall Arena to contest the WBC Silver World Heavyweight title in a hotly anticipated rematch. Chisora is coming off the back of another contentious decision in a ‘fight of the year’ contender versus countryman Dillian Whyte, while Helenius has scored back-to-back knockout victories against Konstantin Airich and Gonzalo Omar Basile. 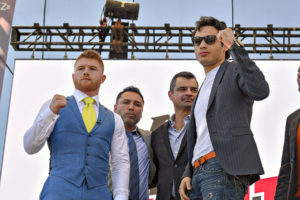 Cinemas across the U.S. will play host to a Cinco de Mayo weekend mega-fight with a pulse-pounding live broadcast event featuring two of Mexico’s finest boxers: “Canelo Álvarez vs. Julio César Chávez, Jr.” in a historic showdown that will rival the biggest fights in Mexico’s rich boxing history. Two-division world champion Canelo Álvarez (48-1-1, 34 KOs) will square off against former WBC World Middleweight Champion Julio César Chávez, Jr. (50-2-1, 32 KOs) in a 12-round battle. Presented by Fathom Events and Golden Boy Promotions, the one-day cinema broadcast is set for Saturday, May 6 at 6:00 p.m. PT / 7:00 p.m. MT / 8:00 p.m. CT / 9:00 p.m. ET, live from the sold-out T-Mobile Arena in Las Vegas. In addition to catching all the in-ring action up close and personal, event attendees will receive an exclusive commemorative fight mini-poster. Tickets for “Canelo Álvarez vs. Julio César Chávez, Jr.” can be purchased beginning Friday, April 7, 2017 online by visiting www.FathomEvents.com or at participating theater box offices. Fans throughout the U.S. will be able to enjoy the event in select movie theaters through Fathom’s Digital Broadcast Network (DBN). A complete list of theater locations will be available April 7 on the Fathom Event’s website (theaters and participants are subject to change). On May 5, 2016, Álvarez celebrated T-Mobile Arena’s first boxing event with a knockout of Amir “King” Khan. Álvarez last fought on September 17, 2016, knocking out the previously undefeated WBO junior middleweight champion Liam Smith. Chávez, Jr. was last in action on December 10, 2016, when he secured a unanimous decision victory over highly-regarded German fighter Dominik Britsch. A laser-focused Samuel “Main Event” Clarkson (19-3, 11 KOs) will step onto the world stage on Friday, April 14, as the Uprising Promotions light heavyweight faces unbeaten prospect Dmitry Bivol (9-0, 7 KOs) for the Interim WBA World Championship. The bout will serve as the feature attraction of ShoBox: The Next Generation, with the fight taking place at MGM National Harbor in Oxon Hill, Md., just outside of Washington, D.C.
A Texas native, Clarkson and his father/head trainer, Samuel, Sr., opted to move this camp to New York where Uprising Promotions President Ronson Frank has been able to secure sparring with many of the top prospects in the region. Clarkson has gone unbeaten since joining Uprising Promotions and is currently riding a nine-bout winning streak. Among those victories included a decision over former world title challenger Cedric Agnew and knockouts of highly touted prospects Jerry Odom and Lavarn Harvell on ShoBox. The 26-year-old pugilist has been continually improving and showing significant growth since signing with Uprising Promotions in 2015, and a newfound dedication to his craft now leads him into the biggest opportunity of his professional career on April 14. Uprising Promotions President Ronson Frank, who initially started the promotion in 2013 to help himself get fights as an undefeated light heavyweight prospect, has aggressively build the foundation for his company over the past four years and feels very confident as its lead stablemate heads into this world title opportunity. Standing opposite Clarkson on April 14 will be Bivol, who had an extensive amateur career that he finished off with a record of 285-15. The 26-year-old won the Interim WBA Light Heavyweight Title last May in Moscow with a unanimous decision over previously undefeated Felix Valera. Looking to continue his meteoric rise up the Super Bantamweight division, undefeated WBC Youth World Champion Diego De La Hoya (17-0, 9 KOs) will headline the Thursday, May 18 edition of Golden Boy Boxing on ESPN in a 10-round battle against crafty veteran Erik Ruiz (16-6-1, 6 KOs) at Casino Del Sol Resort in Tucson, Arizona and televised on ESPN2 and ESPN Deportes starting at 10 p.m. EST/7 p.m. PST. Last Saturday night at Kansas Star Arena in nearby Mulvane, 2016 Olympic bronze medalist Nico Hernandez planted a seed in hopes of growing Wichita into a fight town, as world champions Terence Crawford and Deontay Wilder have already accomplished in the respective hometowns, Omaha (NE) and Birmingham (AL). More than 3,100 fans purchased tickets Hernandez’ successfully professional debut, stopping Pat Gutierrez in the fourth round. To put that attendance figure in its proper perspective, Wichita has a population of less than 400,000 and in this hoop-crazed state, the appropriately named “KO Night Boxing: History Begins” went head-to-head with the popular Kansas Jayhawks quintet playing on national television in the Elite Eight of the NCAA college basketball championship, as well as The Wichita Force playing at home in indoor football. The 21-year-old Hernandez is practically a sports franchise in Wichita, second only to the Wichita State University (WSU) men’s basketball team. The city turned out in force at a parade honoring Hernandez upon his return home from the Olympics and WSU awarded him an open-ended four-year college scholarship. Lifelong Kansas Sean Wheelock, a non-paid member of the Kansas Athletic Commission that oversees boxing, in addition to calling last Saturday’s fights as a member of the KO Night Boxing announcing team on CBS Sports Network, has a unique perspective on the significance of last Saturday evening’s in terms of local boxing history. “It was huge for Kansas boxing,” Wheelock explained, “the biggest show in this state since the Tommy Morrison Era (early-to-mid 1990’s). Morrison was an adopted son, though. Nico was born here and he has a deep investment in the Wichita community. Drawing 3000-plus for his pro debut, in a non-boxing market, was phenomenal and he has the potential to do what Crawford has done in Omaha and Wilder in Birmingham. Boxing has strong roots in Kansas and across the Midwest, but MMA has taken over and lately, most boxing in Kansas has been on hybrid shows with MMA and kickboxing. Hernandez is also fighting in one of the hottest divisions in boxing — 115-pound junior bantamweight/super flyweight — showcasing name fighters such as Naoya Inoue, Roman Gonzalez, Carlos Cuadras, Juan Francisco Estrada and recent addition Srisaket Sor Rungvisai. Conspicuously absent, however, are top 20 ranked American fighters in this weight class, excluding 36-year-old Brian Viloria, the four-time, two-division (junior flyweight and flyweight) world champion. The opportunity is right there for Hernandez to quickly establish himself as the preeminent American boxer in this weight class. “There’s no reason for Nico to fight outside of Wichita for a couple of years as he develops,” Andersen noted. “I feel that he can win a regional title next year. Our goal is to have him in a world title fight position within three years. Our goal is to get him 13 to 15 fights and then promote a super fight in Wichita. He started out in a six-round fight. I think he’ll only have a couple more and then move up to eight-round bouts. Andersen noted that his company has promoted several successful shows, noting the big difference is last weekend’s show featured a world-class fighter in Hernandez. “Making the Olympics was a big deal for Nico,” Andersen added, “whether he medaled or not. Nico is to us what Manny Pacquiao is to Top Rank, ‘Canelo’ Alvarez to Golden Boy. We’re lucky to start out with a fighter like Nico. Fighting in Wichita was risk for everybody but it’s already paying dividends.